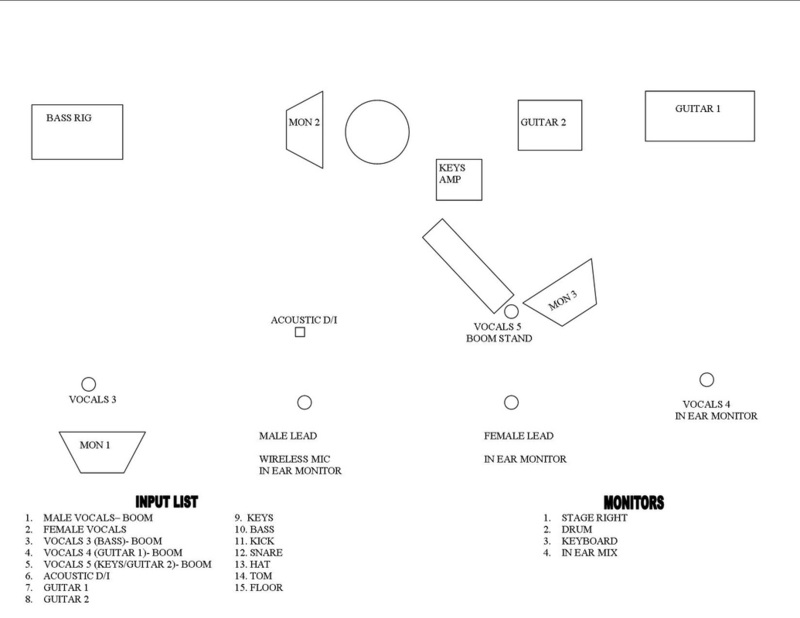 This is the basic production layout. We do understand that every venue is different, this is mainly to be used as a guide for new clubs and production companies. If there are any specific questions regarding the specific needs for a venue, do not hesitate to get in touch. 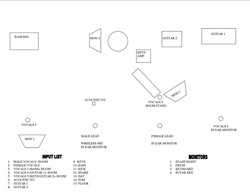 Clicking the stage plot below will enlarge the image to a usable size.